To celebrate my two-year blog anniversary, I collaborated with Rachael from Ande Monster Vintage to present to you a $30 gift card giveaway! I always love browsing through vintage Etsy shops and Rachael's is no exception. The pictures in her shop are always stunning and I love the models she chooses! Personally, I've got my eye on either the Cable Knit Grandpa Sweater (continuing my sweater addiction) or the Mustard Plaid Dress that I could definitely see myself styling up during the winter. I need more color in my closet anyway. Follow my blog and leave a comment telling me what your favorite item is from her shop. following you on twitter @lauren_sham! following you on the ol' FB. Love the 1950s accordion tiered skirt dress! I love the 1950's. circle skirt. scalloped neckline. mad men. vintage dress, and it's in my size! I hearted Ande Monster Vintage as Calliandras. i LOVE the brown reversible cape!! I have been looking for something just like that. + I follow you on Twitter @cestlabelle_vie. I also added Ande Monster on etsy under absitively. Thanks for offering ur value for shopping!I follow this on facebook or myspace. I really like the lacy black wiggle dress! I heart Ande Monster Vintage on Etsy! oh my goodness the red straw hat is so adorable! i would buy it since it's on sale but i already own one that color. phooey. the pink bow matching sweater and skirt set is also really adorable! I'm trying to heart her shop, but I typed in the name and it didn't show up (I'll keep trying.) I followed her blog just now! You cut your hair and I love it! I really like the cameo too! I follow your blog and my favorite item from the shop is the yellow/green vintage mad men dress! It's so pretty! I also hearted the shop on Etsy! My favorite item is the 1950's. circle skirt. scalloped neckline. mad men. vintage dress. Sz xs/s. i follow you on gfc -laura lynch lmlynch2 at gmail dot com. her shop is so cute! i love this: http://www.etsy.com/listing/88273853/30-off-sale-1960s-wiggle-dress. kinda want it really bad. holding off to see if i get the card though! lastly, i am following rachael's blog on gfc -laura lynch lmlynch2 at gmail dot com. can't wait to see if i won! I love the secretary skirt! I love this dress, it's different from anything I have seen. I hearted the etsy shop. i love the 1960's cameo pendant! i <3 her shop on etsy! my favorite thing is 30% OFF SALE. 1950's. white. straw. wedding. crystal brooch. box hat. 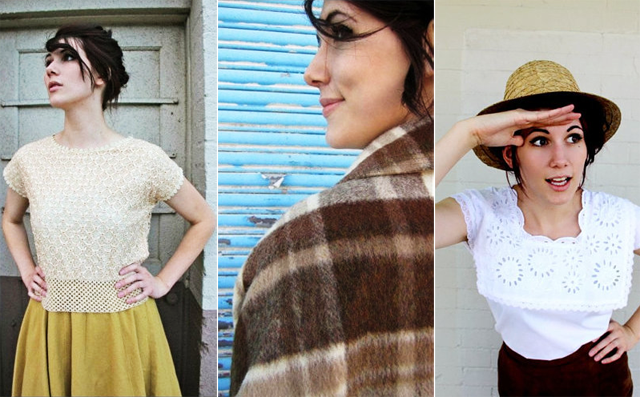 following via blog lovin and my favorite item is 1960's. lace. black. wiggle dress. mad men. My fav from the shop is the 1970's. straw. weaved. leather top. basket purse. vintage.!! I follow you via GFC, and I love the 1960's. buckle print. navy. vintage dress. Sz m/l! Added her shop to my favorites on Etsy as CreationSuite. Following It's Simple Love publicly via GFC. @hazelfinn follows @jennifhsieh on Twitter. is a purse I'd love to have. Following! And I follow Rachael's as well! :) I LOOOVE the Mademoiselle Juliette black dress. Adorable! My favorite item in the store is the 1960's. london fog. pale turquoise. rain coat. vintage. Sz m/l.! LOVE THE COLOR! my favorite item is the 1970's. straw. weaved. leather top. basket purse. vintage. LOVE the 1950's blue princess sleeves dress!! lovely! following her blog on GFC! Oh I love the 1960's leather oxford wooden heel shoe! So cute! This is the most effective range ANDE has ever produced! It is not an IGFA range. Huge Yellow-colored is for trolling and for directed at big, mean seafood. Ooh, I'd go for the princess cut plaid wool coat - so cute! I follow with gfc as Shilo Beedy and I love this shop. My very favorite piece is the princess cut. plaid. wool. vintage coat. 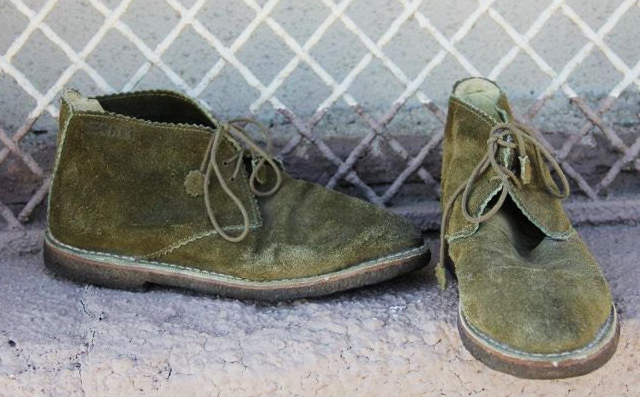 My favorite shoes are those green ones you have pictured above. My friends has a very similar pair, and I'm always so envious! My favorite item is the 1960's. genuine leather. textured. vintage purse. I love the 1960's. rick rack. brown. wrap dress. vintage dress. Sz s.
following your blog and I like the 1960's. tan. patterned. swing coat. large buttons. vintage coat. I'm a new follower :) I love the 1950's. empire waist. flower embroidered. formal. gown. I've joined your rss feed and look forward to seeking more of your fantastic post. Also, I have shared your website in my social networks! Hello, after reading this amazing post i am too glad to share my familiarity here with friends. this technological world the whole thing is accessible on web? if you have to manually code with HTML. I'm starting a blog soon but have no coding knowledge so I wanted to get advice from someone with experience. Any help would be greatly appreciated! searching and wound up here "Ande Monster Vintage Giveaway". And I actually do have some questions for you if it's allright. Is it simply me or does it look like a few of the responses look like they are left by brain dead visitors? :-P And, if you are writing at other online sites, I would like to keep up with anything new you have to post. Would you list of the complete urls of your community pages like your Facebook page, twitter feed, or linkedin profile? What's up to every one, because I am actually eager of reading this web site's post to be updated regularly.